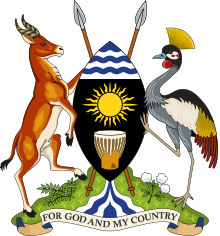 As we celebrate this day, the whole of Uganda is peaceful and has been so since we ended the removal of the 40,000 rifles from the cattle-rustlers in Karamoja some six (6) years ago. Earlier on, in 2005, we had defeated the terrorists of Kony. This is therefore, the first time in 114 years that the whole of Uganda has been peaceful. Even, during the time of the British, cattle-rustling in Karamoja, using guns from Turkana and from Ethiopia, was going on. On account of the strength of the UPDF and the growing strength of the Police Force, this peace will not be disturbed. Use this peace to create wealth for your families as we have guided you before. Therefore, in order not take any chances, I request you to suspend the habit of shaking hands in addition to the measures the Ministry of Health is taking in respect of handling those who are sick or who are suspected to have had contact with the sick or with those who died. I must also request those communities, especially in the forest zones, who have the customs of eating monkeys and other primates to stop that custom. Those creatures are relatives of humans. Moreover, they are the ones that harbour those dangerous viruses ─ Marburg, Ebola, etc. Avoid them please. Eat the livestock we look after ourselves: cattle, goats, chicken, pigs, etc. as well as plant proteins. The bats also seem to harbour these viruses. The Ministry of Veterinary should work out plans to eradicate these dangerous sources of this problem.